Panasonic Australia is keeping mission-critical data secure with the i-PRO® Extreme WJ-NX300 Network Video Recorder (NVR). With full data encryption streaming recording for all i-PRO® Extreme cameras, the new recorder ensures video surveillance is safe from any spoofing and snooping activities. The WJ-NX300 is suitable for industries where data protection is critical – such as public safety, transport and logistics, banking, retail, hospitals and education. It joins the growing product suite supporting Panasonic’s next-generation i-PRO® Extreme surveillance platform, including the WJ-NX400 and WJ-NX200 recorders. 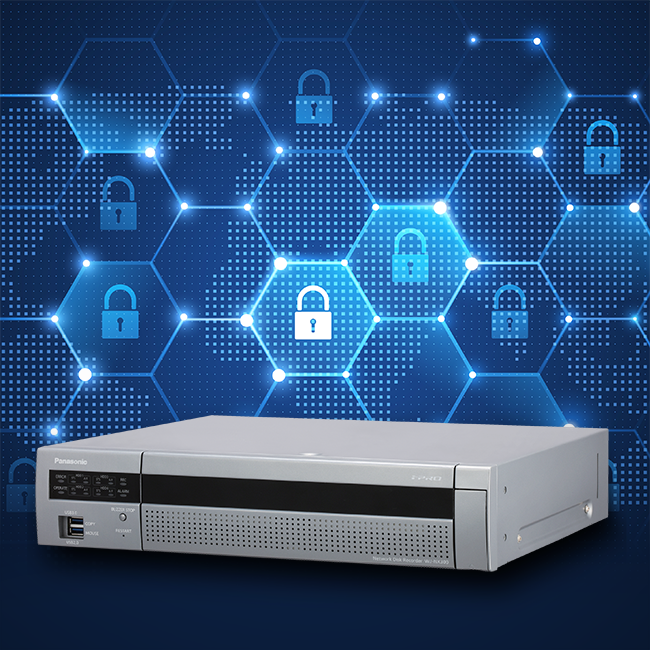 The WJ-NX300 is a H.265/H.264 high-throughput NVR featuring an integrated GUI and robust embedded IP security, enabling a secure end-to-end solution. The PC-less non-VMS surveillance solution does not require any computer for configuration or operation. In addition, there are no camera license fees with a default number of cameras, and no annual license updates are required. Panasonic’s Secure Communication feature protects against spoofing (false data), video tampering and altering (changing images) and snooping (stealing passwords). It works between cameras and the NVR as well as between the NVR and applications. Pre-installed Symantec device certificates protect devices from cyberattacks and prevent leakage of data on communication networks as well as leakage of video, via password-protection and alteration detection. The WJ-NX300 provides high reliability and efficiency data reading/writing with its TURBO-RAID functions. Recovery time in the case of a system crash is half that of a standard network recorder. For stable recording and operation, the NVR is equipped with a momentary power failure resistance, so it will keep operating and recording in the case of an instantaneous voltage drop within 200ms. 16 ch. expandable to 32 ch. camera input. Supports H.265 / H.264 mixed recordings. No camera license fees with a default number of cameras; no annual license updates required. Instantaneous power failure measures: Normal operation at instantaneous power failure within 200 ms; safe shutdown at power failure of 200 ms or more. Secure Communication Kits are necessary. Panasonic’s next generation i-PRO® Extreme surveillance technology platform is a native end-to-end H.265 system designed to maximise the performance and cost-effectiveness of video surveillance systems, whilst protecting against cyber security threats. The platform is available across a line-up of Panasonic cameras, recorders and video management software, delivering advanced enhancements in image quality, data compression and security, reliability and embedded intelligence. The new Recorder will be available from March 2018 through Panasonic distributor BGW Technologies.